Wine Spectrum is headquartered in Santa Rosa, California – in the heart of the beautiful Sonoma County wine country. 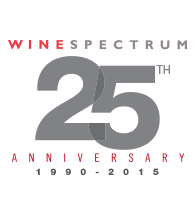 Spectrum Advisors may be reached at 800-933-8466 / sales@winespectrum.com. We are interested in hearing from all qualified individuals. Please send your cover letter and resume to hr@winespectrum.com to be considered for a position. Do you love wine but are tired of missing out on your weekends because you work tasting room hours? Do you want to be able to expereince the world of wine as opposed to a only a few different offerings? Do you enjoy making personal connections with clients? Do you love sales and want the chance to sell the best wines in the world? Do you want to experience 1000+ new wines every year? If you can answer yes, then Wine Spectrum is the right place for you. We have been selling the world’s premier wines for over 25 years. At any one time we carry between 700-1000 different wines from all over the world. Our only restriction is the most important one, QUALITY. Since our founding Wine Spectrum has maintained the stance that if you are going to sell wine, it should only be THE VERY BEST. For 25+ years the Wine Spectrum has been able to maintain the highest possible bar for quality while fostering a friendly, collaborative, and high-powered environment. Working for Wine Spectrum means that you will only sell the best wines in the world. Comprehensive benefits package that includes generous time off, health, and retirement benefits. *All candidates must have reliable transportation to work. The company will not pay relocation expenses. Must live within daily commuting distance of Santa Rosa, CA.